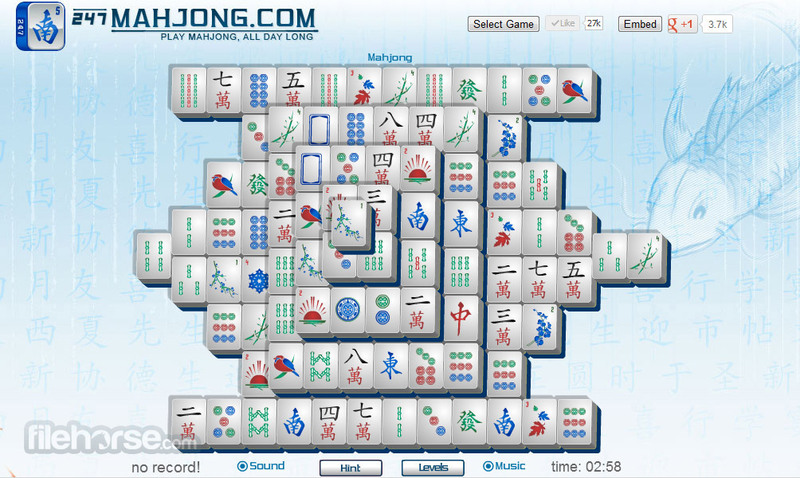 Legendary matching puzzle game Mahjong (also known as Mahjong solitaire) was invented in China some 2500 years ago, but now you finally have the ability to play it on your PC directly from browser window. No need to install anything, no need to lose you valuable time! This fantastic version of Mahjong offers everything you ever wanted from this game – multiple visual layouts, beautiful tiles, soothing music and large layout that will enable you to Cleary see the board and manipulate pieces on your path to victory. 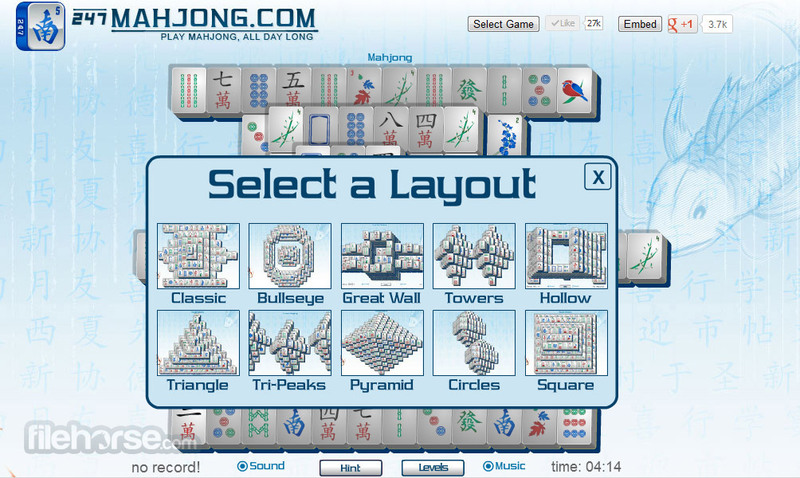 Don’t miss out on one of the best versions of Mahjong games ever created!